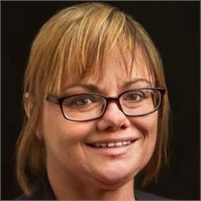 Marlee joined Hannes Financial Services in 1996 as an office assistant. She quickly obtained her State of Washington Insurance Producers License and the Series 6 and 63 Securities Registration. Over the past twenty years, Marlee has become an integral part of the Hannes Financial Services team. In addition to managing the firm's day-to-day operations, she is also the primary point of contact for our clients and partnering advisors when questions and account service needs arise. Marlee has a genuine interest in serving and meeting our client needs, and is focused on providing excellent customer service and advisor support. Marlee was born and raised in Northeast Washington and enjoys all the activies that this great region has to offer. *Marlee is registered to offer securities, but not investment advisory services, through Woodbury Financial Services, Inc.